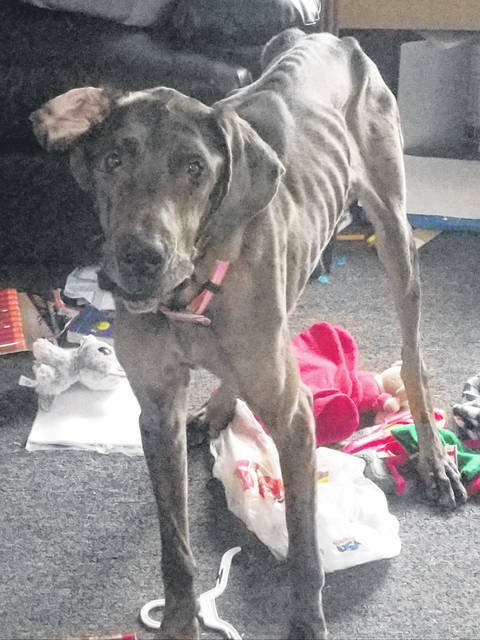 In the case of a neglected Great Dane, a 28-year-old Bloomingburg woman was sentenced to jail time Tuesday and was ordered to not own any animals for five years. https://www.recordherald.com/wp-content/uploads/sites/27/2019/03/web1_20190319_144059.jpg“Galaxy” was found in this condition by Fayette Regional Humane Society agents at a Bloomingburg home. 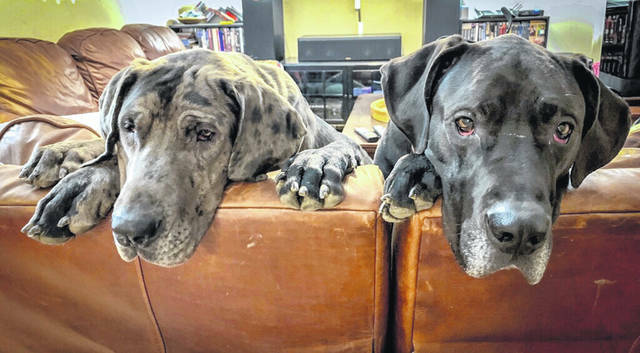 https://www.recordherald.com/wp-content/uploads/sites/27/2019/03/web1_Galaxyduke.jpgGalaxy on the couch with her new brother, Duke.